It can be very frustrating when your child is not listening to you when you talk to them. Being in the child care industry, we completely understand. Use these tips to try and get your child to listen when you speak and see how you can influence their interactions and personality. If you are having a conversation with someone and they are talking to you in a positive manner with their tone and words, you are more likely to listen to them. As opposed to if they are shouting while talking to you. The same happens with your child, your child is more likely to respond to the positive interactions rather to the negative ones. It is important to remember that the way you interact with your child will affect the way your child interacts with others. 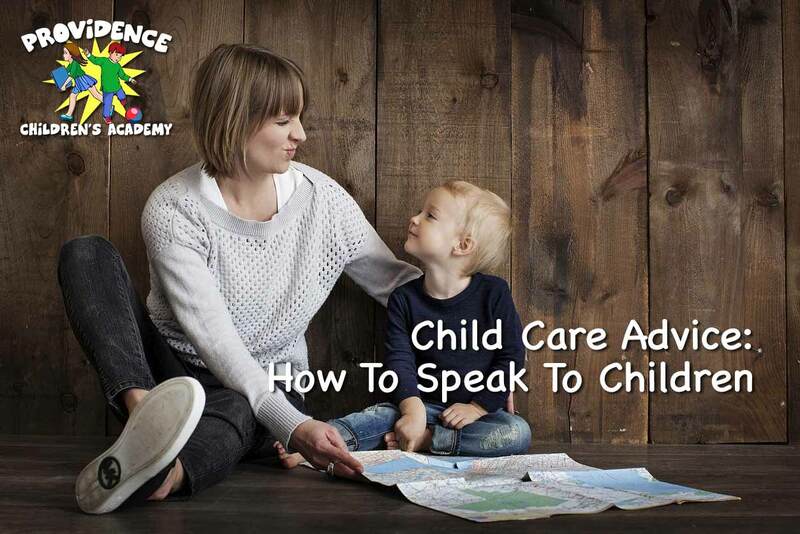 If you treat your child with respect and speak calmly to them, they will interact with people around them in the same way, the same applies if you speak to them in negative/harsh tones. A very important tip to remember when talking to your children is to kneel or squat to your child’s level and look them in the eye when talking to them. Talking to them at their eye level makes your child feel safer and more in control, it gives them your full attention and shows you are willing to engage with them. It is not only good for your child, but for you as well, when you are on their level you can see things from their point of view. When you want to talk to a child, start by saying their name. This will focus the child on you, likely gaining their attention. If you want to keep their attention throughout the interaction, it is best to keep saying their name during the conversation. It is also a good idea to use nicknames and affectionate names when speaking to your child, it shows that you care about them and helps them to feel valued. Even though every parent tries their best to communicate in a positive manner with their child, sometimes things are said that they don’t mean or that can be hurtful in certain difficult situations. Examples of these situations are: talking to your child when it is late, when you are tired, when you are in a bad mood, and you may not realize the negative effect your words may have on your child. it will have on their child. Here are some common phrases to stay away from that can do a lot of harm to your child without you realizing it. Negative comments about your child’s other parent. When you speak badly about a parent in front of your child, it may cause the child to feel like they need to choose a side between their parents which will cause them to feel like they are trapped in the middle. If you have something negative to say about the other parent, it is best not to say it in front of your child, go to another room and count to 10. When talking to your child, remember the most important points of going down to their eye level, speaking in a pleasant tone and with positive words. Try and stay away from negative comments, about anything but specially about the other parent and always try to see things from your child’s perspective. These tactics will help you to shape your child’s personality in a positive manner. 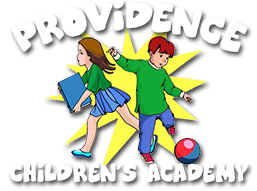 Providence Children’s Academy takes pride in providing the highest quality service to your children. We offer a safe and toxin-free playground as well as secure access when dropping off and picking up your children. Enrolling your child in preschool can help increase your child’s development as well as mold their personality through their day to day interactions.